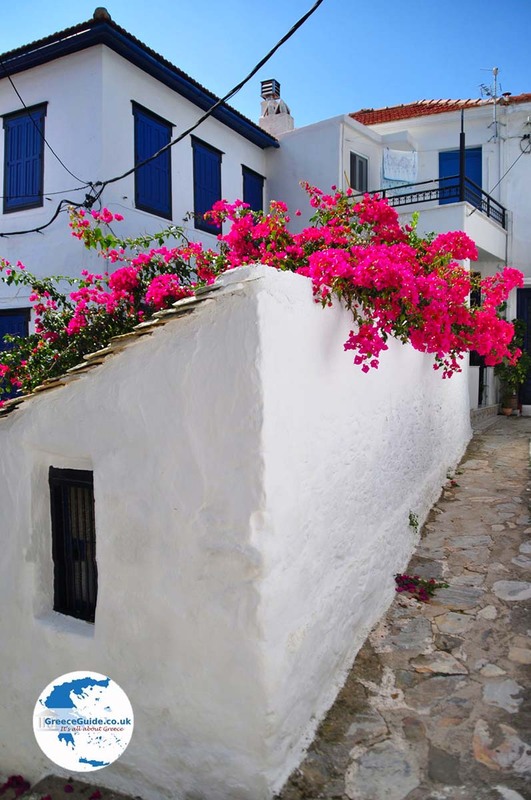 SKOPELOS TOWN. 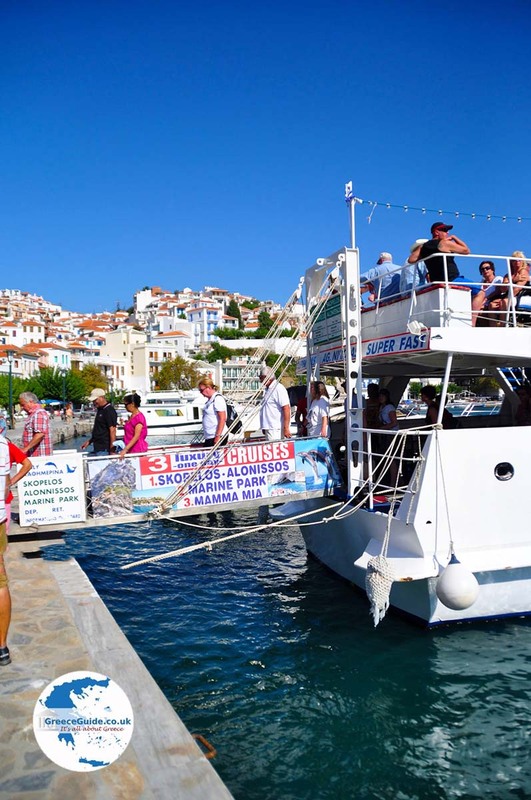 Skopelos town,the capital of the Greek island of Skopelos is beautiful When you arrive at the port of Skopelos town you will be impressed from the first moment. The city was built around the year 1500 BC. 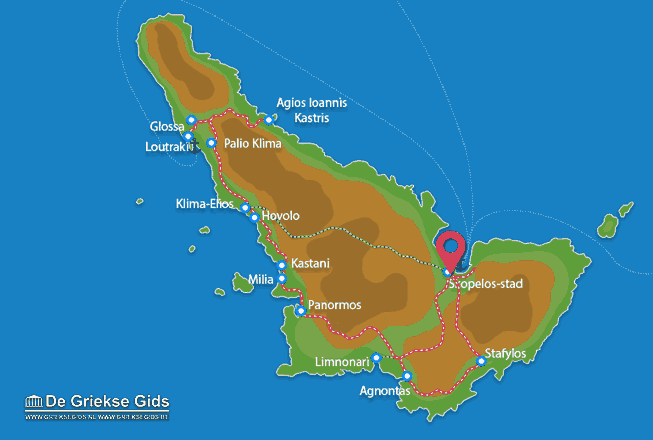 by the inhabitants of Crete. 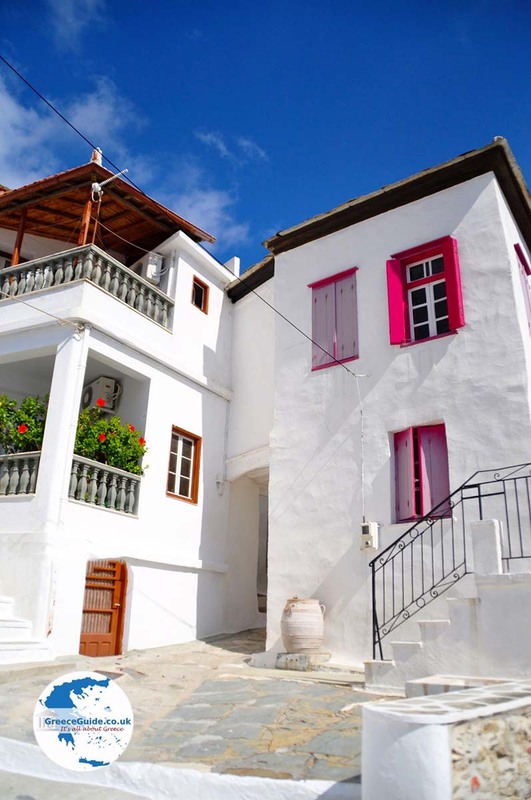 It is built on a hill by the sea and its original name was Peparithos. 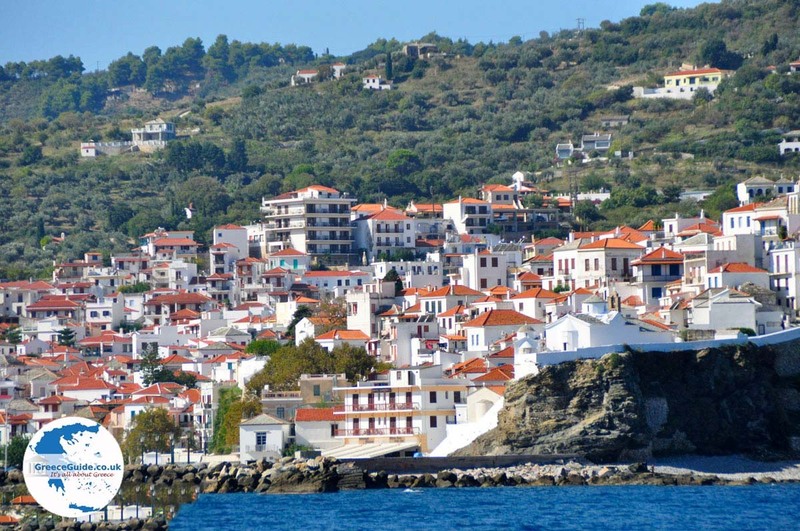 Residents call the town Chora, a name which is given to the capital of many islands. 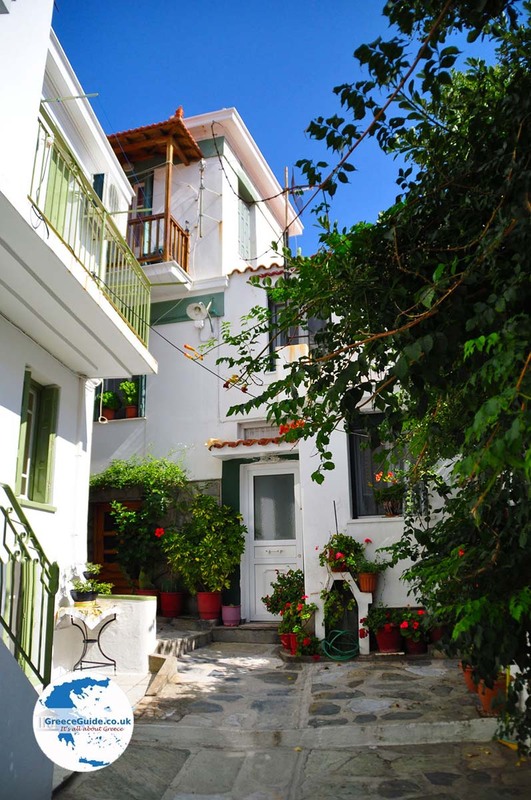 The white houses in Skopelos town are built in the original style, they have been well preserved. In Skopelos town you will see white houses with blue and brown shutters, red or grey tiles, many churches, narrow alleys and lots of stairs. 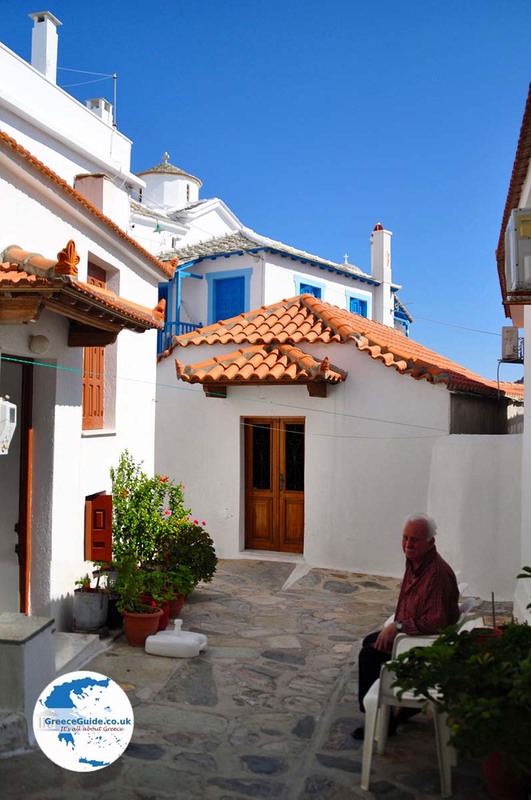 These are the typical characteristics of a village on a Greek islands. The construction of the traditional houses of Skopelos town are both in Venetian style and in Macedonian style. 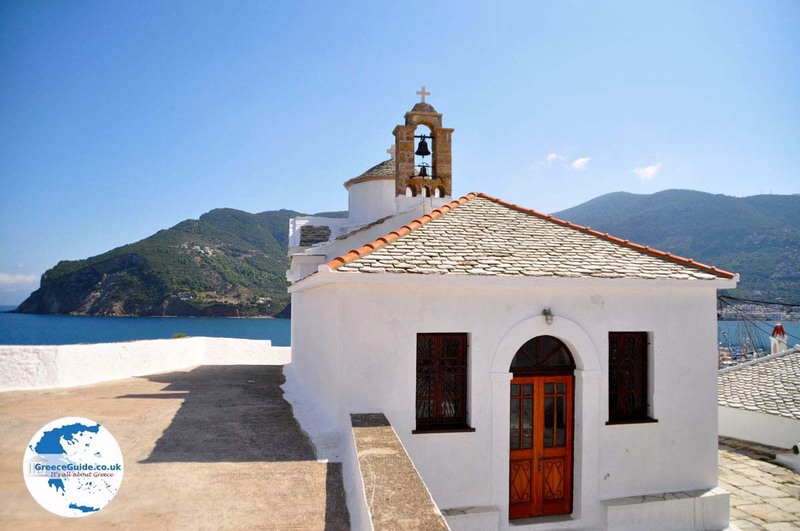 When you walk through the cobbled streets and on the steps, you will see many small churches, it is estimated that there are one hundred and twenty. You also see a lot of flowers. 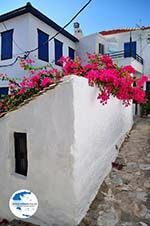 The inhabitants of Chora have their cottages and gardens adorned with bougainvillea, roses and many other beautiful flowers. 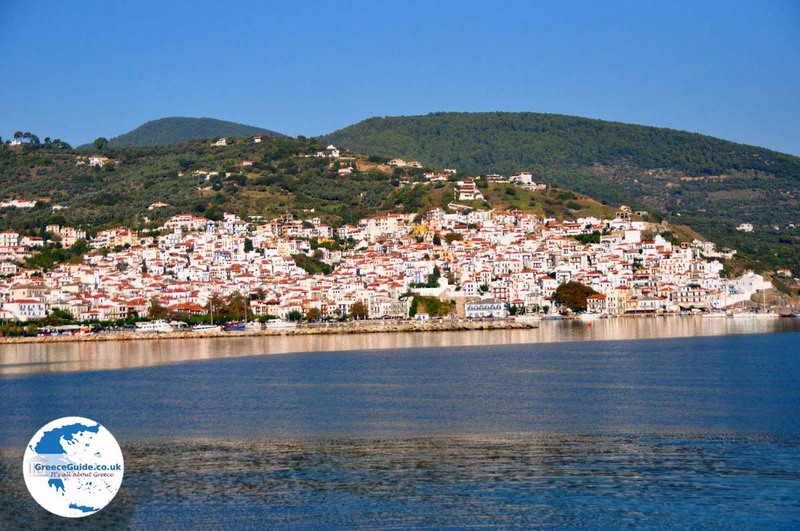 At the highest point is Kastro, meaning castle or fortress. Here are the ancient walls of the castle, which were painted white by the people. 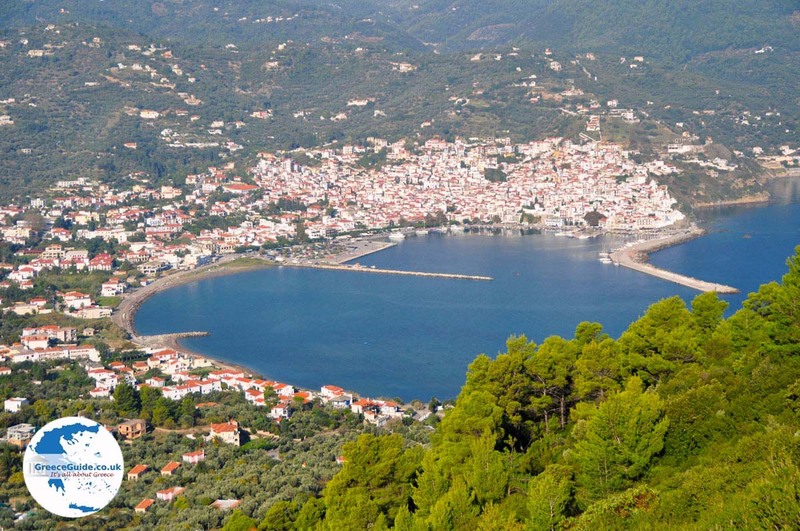 Skopelos town was regularly attacked by pirates, one of them was the dreaded Barbarossa. The residents tried to protect themselves by building this wall. Strategically the city was located in such a place that they could not be taken by the pirates. On this hill are no shops or terraces. The terraces are all down around the harbour. 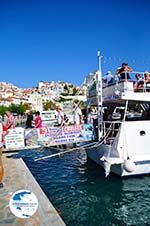 Restaurants, seafood restaurants, bars and cafes, bakers and greengrocers, tourist shops and clothes shops, everything is to be found here. In Skopelos town are many hotels and apartments available in all price ranges. 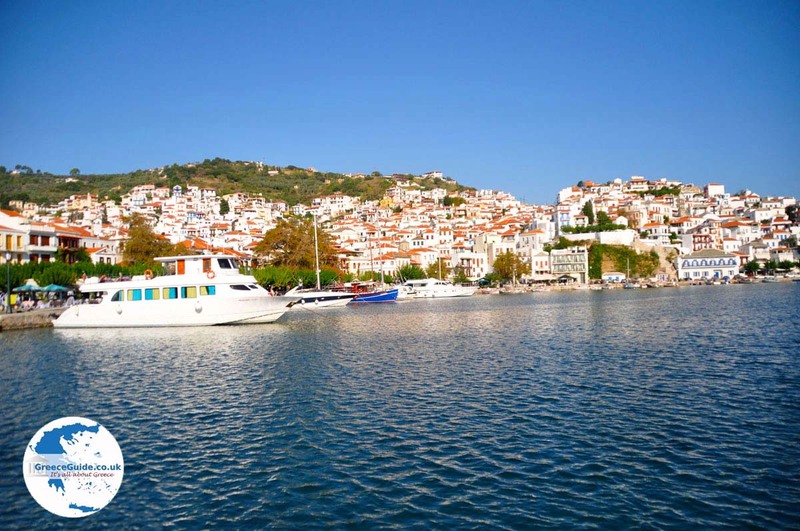 Skopelos: Where on the map is Skopelos town located?